EUK 134 is a mimetic of superoxide dismutase and catalase, forming an exceptionally rare self-regenerating molecule that scavenges superoxide free radicals, eliminates hydrogen peroxide and converts reactive oxygen species into water and oxygen. While it has been around for many years, very few products on the market do use this truly superb antioxidant which can regenerate itself to offer round-the-clock antioxidant support. The only issue with EUK 134 is that it must not be used immediately with strong acids such as suspensions of Ascorbic Acid. Strong acids will completely destroy EUK 134 which is based on manganese.The low price of this formula does not reflect EUK 134's extremely high potency. EUK 134 is by far one of the strongest antioxidants available. 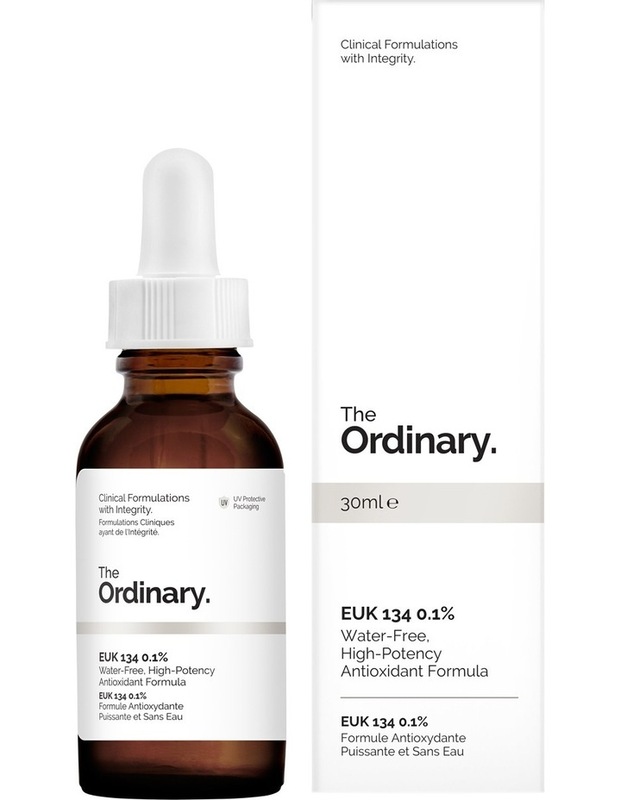 While EUK 134 itself is very costly, the suggested concentration in any formula is below 0.05% and most formulas do not use this maximum suggestion. Our formula uses EUK 134 at an extremely high 0.1% concentration and we do not believe any product on the market today uses a higher concentration than this amount. This formula does not contain any water, silicones, oils or alcohol. Water can impair the stability of any antioxidant.